OH! My mistake! 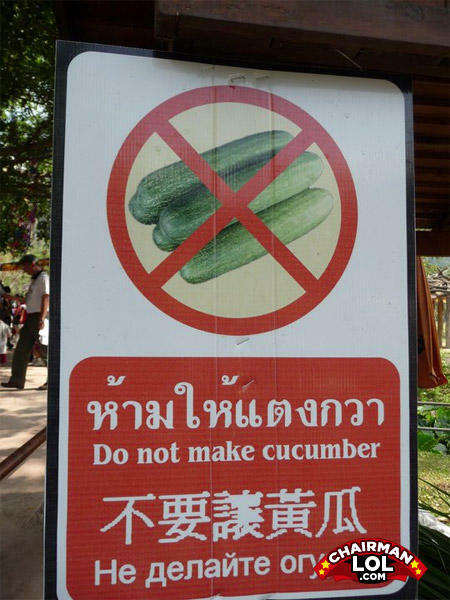 For a minute there I thought you said "do not MAKE cucumber"! Wacky westerners, that's us! do not make cucumber, use cucumber to make pickle! So 2 cucumbers can't have a cucumber baby? Racists! penalties include: $500 fine, 6 months in jail, and possible lethal injection. What's worse then a blind driver?